As a newly promoted executive, are you struggling to manage the pressure of public speaking? Public speaking in some situations has somehow become the most unwelcome responsibility you encounter in your daily routine. Professional communication was not stressful in your previous career role. Why is it challenging now? Public speaking at the executive level occupies a higher tier of influence. Your voice and oral communication are center stage. As a result, you are feeling the full effect of how prominent and influential your voice is expected to be. You are outside of your comfort zone dealing with unpredictability in your public speaking schedule. You feel ill prepared to address a wide range of topics in front of unfamiliar audiences. To quote an executive client who works in state government, “Some executive speaking tasks I am now doing feel like I am treading water in the open ocean without a life preserver. I have always been a good swimmer, but this is a new level of pressure to perform.” You realize it’s time to begin searching for help. Subsequently, you begin searching online. The plethora of public speaking improvement options is overwhelming. Maybe you turn away from it for awhile hoping the stress will go away. As a speech coach, it is not uncommon to see executives who have been struggling with these same issues for over a year or more. Having a realistic expectation about what you will gain from the variety of public speaking improvement options before you will help you decide which option is right for you. Easily accessible options may be just enough to rev up your confidence so you can fake it till you make it. Short acting solutions will not help you achieve the public speaking expertise required of you on a regular basis. At this point in your career, you are beyond faking it until you make it. You’ve made it; you need to be it. Groups are a safe environment to receive encouraging feedback on vocal delivery and speech structure. Speaking on a repeated basis in front of a member only audience may help resolve some of your fears associated with public speaking. Groups require time and commitment. The demands of your executive level position may limit your time to prepare speeches, attend group sessions, and serve in the group’s leadership roles. You may occasionally require feedback on speeches that contain industry sensitive content. Privacy in a group class is not guaranteed. Private coaching programs are typically customized for your specific areas of weakness and learning style. An accomplished executive coach will ensure you gain sufficient proficiency to immediately transfer the skills to your next public speaking event. Privacy can be guaranteed through contracts or non disclosure agreements. Coaching sessions are generally provided at a time and location that works best for you. Private coaching is a skills based, behavior modification learning process that requires commitment and patience on your part. Unfortunately, your personal assistant cannot do this for you. Selecting an executive coach may seem like an overwhelming process. Speech coaches are highly variable in their professional backgrounds, experience, instructional philosophies, and coaching processes. 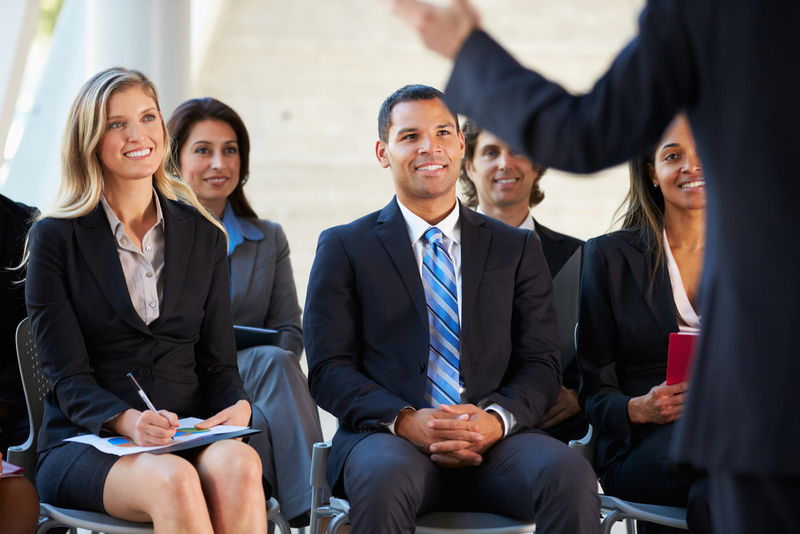 Speech coaching at the executive level is an under recognized field of expertise. Many executives struggle far too long with their public speaking anxieties because they do not know the services exist. Most importantly, whichever option you choose is better than doing nothing. Contact us to schedule a phone consult. We would be happy to answer your questions related to executive speech coaching to help steer you into the right direction.